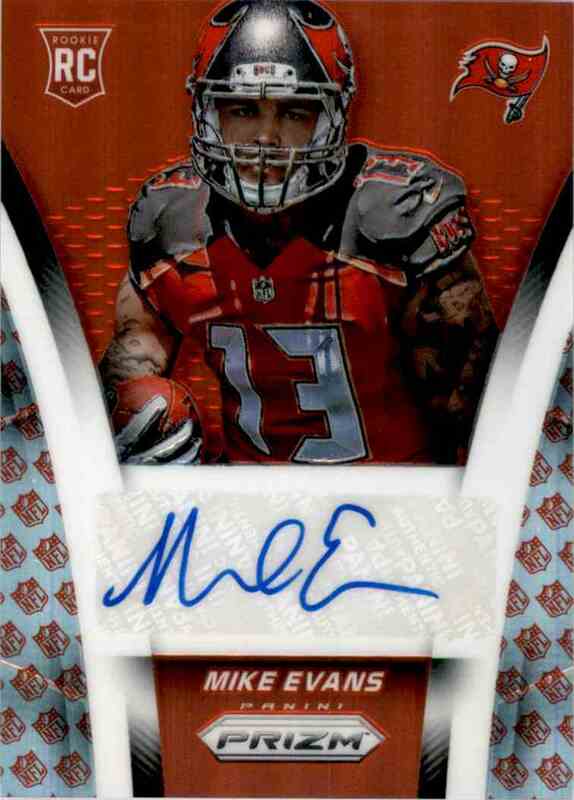 This is a autographed Football trading card of Mike Evans. 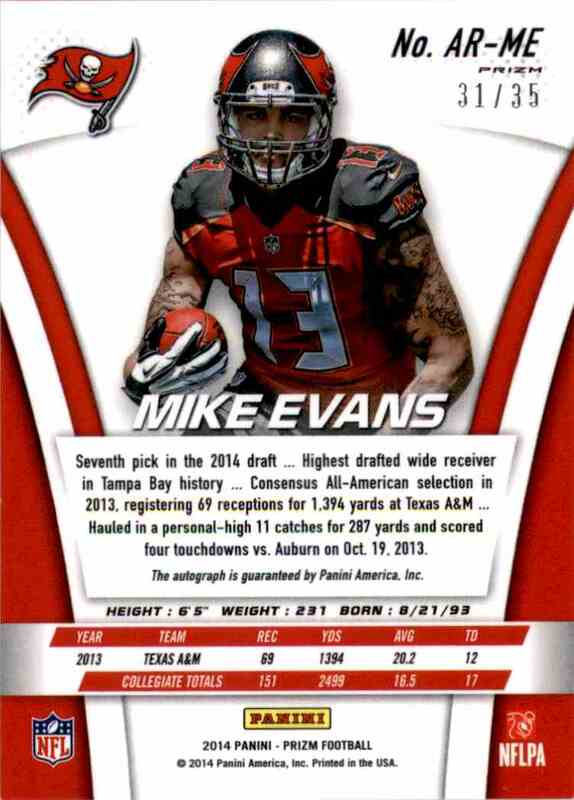 It comes from the 2014 Panini Prizm Rookie Autographs Prizms Red set, card number ARME, serial numbered 31/35. It is for sale at a price of $ 10.00.